The Symantec Safe Site shows your site visitors that your Web site is trusted by the leader in online trust and gives them the confidence to buy, click, signup, sign in or just browse. Confirm your Identity: Authentication is an established and proven process used by Symantec that shows the world and your customers that Symantec has verified your identity and you as the rightful owner or operator of your Web site. Increase traffic: People make snap decisions when they search and browse the Web. Seal-in-Search is a Symantec seal displayed near the link in natural and sponsored search results to help the Web site stand out from the competition and help increase traffic to the Web site. Protect your visitors and website from malware: Web site malware scan is a daily review of your Web site to help protect it from being blacklisted by search engines and to reduce the risk of infecting customers' computers when they browse your Web site. Turn more visitors into customers: Growing security concerns have made consumers reluctant to do business with Web sites they do not know and brands that are not familiar to them. The Symantec Safe Site gives visitors the confidence to buy, click, signup, sign-in, or just browse a Web site. Build trust and loyalty: Many online businesses do not have the brand awareness and trust of established brands. These businesses can spend thousands of dollars driving traffic to their Web sites only to lose potential customers due to the consumer’s low confidence in an unknown site. The Symantec seal is the most recognized trust mark on the Internet and instills the confidence to click. 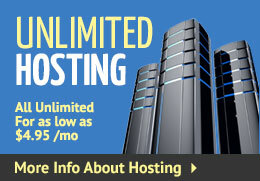 We offer monthly, yearly and multi-year pricing to meet your needs! BRING TRUST TO YOUR BUSINESS ONLINE. The Symantec Safe Site; Seal is a great value starting at as little as $ per month. Verifying your business, organization, or individual identity using established and proven procedures. Authenticating that the domain (how your web site is registered) is owned or controlled by the verified account. Confirming that the web site has passed a daily malware scan. After Symantec confirms your identity and site ownership, and your site passes the Symantec malware scan, the Symantec Safe Site is ready to be installed on your site. Then you simply copy and paste the script into your site’s code. When customers click on the seal, they can see that your business and web site have been authenticated by Symantec, and that your site has recently passed a malware scan. Going forward, Symantec scans your site for malware on a daily basis. If malware is detected, the seal is automatically turned off and you’re immediately notified of the attack. The Symantec Trust Center portal is always available to provide detailed information to help you remove malware. After malware removal is confirmed with a simple rescan, the seal is automatically displayed again. With the Symantec seal-in-search functionality, customers who install a simple browser plug-in and find your site through popular search engines will see the Symantec Safe Site next to your listing on search engine results pages. 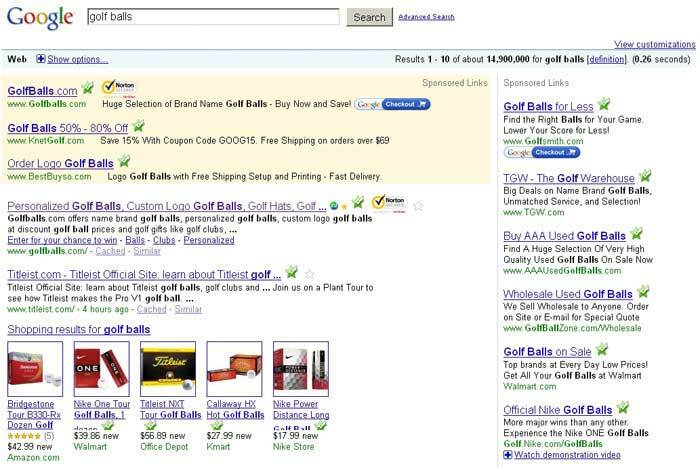 Customers will also see the seal next to your products or company name on Symantec-partnered web sites, including trusted comparison shopping sites. This seal-in-search feature can help you stand out from your competition, allowing you to build confidence in your site and reach customers before they even visit your web site. Ask yourself, is $ per month worth building trust and loyalty with your customers, driving more traffic to your site, and ultimately increasing sales? Case studies show a 10-34% increase in online sales and transactions when a Symantec Safe Site is displayed. The Symantec Safe Site is a no-brainer marketing solution because it increases traffic and boosts sales. Make sure to position the Symantec Safe Site with other marketing services that you promote. Installing the Symantec Safe Site is as easy as adding an image to a Web page. After you apply for the seal, Symantec verifies your business information and scans your Web site. When your seal is ready, you'll receive an email alert to proceed with installation. What is the Symantec Safe Site? The Symantec Safe Site; Seal brings trust to businesses by helping them establish credibility online. When you display the Symantec Safe Site on your Web site, it means that Symantec has verified your identity and that you are the rightful owner or operator of your Web site. Visitors may click the seal to confirm your information. The seal also means that your site has passed a daily malware scan and visitors can click on your site with confidence. Is this the same seal I see at checkout on big name Web sites? Yes. The Symantec Safe Site is an enhanced version of the established and highly trusted Symantec Secured Seal. Like the Symantec Secured Seal, the Symantec Safe Site shows that a site is authenticated by the high standards of Symantec. However, the Symantec Safe Site provides additional information in more places to help assure your customers that your site is safe from search to browse to buy. 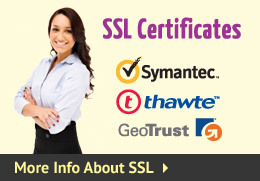 The Symantec Safe Site is free with the purchase of any Symantec SSL Certificate. It can also be purchased separately for web sites that do not require SSL for securing online transactions. The Symantec Safe Site provides a cost-effective way to establish trust on your site without installing an SSL Certificate. Why does my Web site need a seal to be trusted? Growing concerns about fake sites, viruses and identity theft have made consumers reluctant to do business with Web sites they don’t know and brands that are not familiar to them. As a result, small businesses struggle to draw traffic to their Web sites and to generate the confidence to buy, click, and sign-in online. The Symantec Safe Site tells Web site visitors that the most trusted brand on the Internet has verified your identity and that your site has passed the Symantec malware scan. What types of businesses benefit from displaying the Symantec Safe Site? Trust is important for all Web sites, not just ecommerce. If you are a publisher with an ad-based revenue model, you need traffic to thrive and your site to be trusted so visitors will click through your ads. If your Web site serves as a brochure for your local business, you are asking customers to trust you based on the content of your site. In almost any case, a small investment in a Symantec seal shows your site visitors that you are trusted by the leader in online trust and gives them the confidence to click. How is the Symantec Safe Site different from other business seals? Only the Symantec seal is backed by the most trusted security brand on the Internet (Symantec Brand Tracking Research, 2009). On average, the Symantec seal is displayed 250 million times a day on more than 90,000 Web sites in 160 countries. The Symantec seal has an 86% recognition rate among consumers (Symantec Brand Tracking Research, 2009 ). In fact, 97 of the 100 largest SSL-using banks in the world, 87% of the largest ecommerce sites in North America and 93% of the Fortune 500 rely on Symantec (including Symantec, its subsidiaries and affiliates) to secure their Web sites. As the brand trusted by major banks and retailers, the Symantec seal helps build confidence on all types of Web sites. Can the Symantec seal really help increase my online sales? Yes. Customer case studies have shown an average increase in transactions of 24% (ranging between 10% - 36%) when the Symantec seal was displayed. Many small businesses use third-party shopping cart software that is secured by Symantec and the Symantec seal is displayed on checkout pages. To maximize click through to your shopping cart, show customers that they can trust the link, trust the site, and trust the transaction with the Symantec seal present at all stages of the buy process. Can the Symantec seal help increase traffic from search engines? One of your biggest challenges is standing out in search so that potential customers, viewers, members, etc. actually click your link to see all that you have to offer. The Symantec Safe Site includes Seal-in-Search, a feature that allows enabled browsers to identify Symantec trusted sites and display the Symantec seal next to your link in search results. See how the Symantec Safe Site is displayed in search results, download the free AVG LinkScanner to enhance your browser. In addition, daily web site malware scanning helps mitigate the risk of becoming blacklisted by search engines. If your site is blacklisted, it may be blocked entirely or flagged with a security alert to discourage click through. In addition, anti-virus plug-ins to popular browsers can detect malware and block access to infected sites. Malware is a general term for malicious software and is a growing problem on the Internet. Hackers install malware without your consent by exploiting security weaknesses on your server and gaining access to your Web site. The malware code is not visible or easily detected, and may infect customers' computers when they simply browse your Web site. Hackers use it to spread viruses, hijack your computer or steal sensitive data such as credit card numbers or other personal information. Because of the potential damage caused by malware, Google, Yahoo, Bing and other search engines place any site found with malware on a blocked list or blacklist, excluding it from search results. If your site is blacklisted, it may be blocked entirely or flagged with a security alert to discourage click through. In addition, anti-virus plug-ins to popular browsers can detect malware and block access to infected sites. How do I to get a Symantec Safe Site? Symantec will first verify the information you provide. 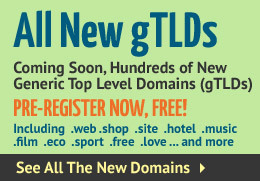 Your Web site must be legally registered and you must either own the domain name or have exclusive rights to use it. Next, we conduct your first malware scan. If malware is detected, you will receive a notice with details about the type of malware and the infected pages for removal. When you pass the malware scan, youll receive an email alert with a link to a download page. Symantec Safe Site is a small script that you copy and paste into your Web site.